How goes the rehabilitation, inmate? Good Smile Co. are on a roll with the cool-looking gaming memorabilia at the moment. 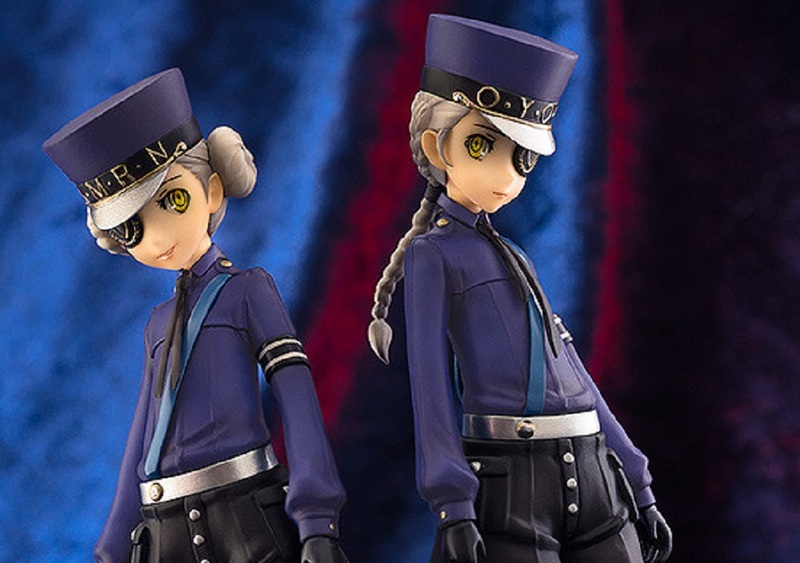 Joining their catalogue of Persona merchandise this week are P5's Velvet Room assistants, the incomparable twin jailers; Justine and Caroline. Caroline, is the cooler, grumpier of the pairing, appearing here with her hair in buns and a sadistic grin on her delicate chops. Justine, as the good cop, looks a little more demure. Both gals are painted in colours designed to accurately reflect the tones of their in-game counterparts. The model stands a little over six inches. Those gathering Persona merch are probably no stranger to its relatively high cost, and that's good, because these gals are no exception. Available to pre-order right now, Justine and Caroline are priced at ¥12,800, or around $119, not including shipping or any customs charges. Justine and Caroline are available to pre-order now at the Good Smile Co. website. Pre-orders close on May 17, with the figure scheduled for delivery in August.